Your likelihood of obtaining a fair settlement for an auto accident injury is far greater after you hire an attorney specializing in helping injury victims. After an auto accident, it is risky to depend only on the insurance company to deal with it. The insurance company’s goal is to get you to settle for the least possible amount of your injury and vehicle compensation. Dealing only with the insurance company is likely to result in an undervalued claim as compared to what an experienced attorney can achieve in the situation. Even though settling your own claim is your legal right, remember that insurance companies try to pay the least amount possible. There is no up-front charge to hire top Auto Accident Lawyer Steven A. Montag of Montag Law. He is paid on a contingent basis. The firm is not paid anything if it does not settle the case or get a court judgment in your favor. We are paid from a settlement, not from the client’s pocket. How Much Is The Lawyer’s Contingency Fee? The usual attorney’s charge is 33 1/3 percent of the settlement when it is settled out of court. The attorney’s fee is the same percentage if your case needs to be litigated. Only with a client’s permission would a court case be filed. We try hard to settle cases out if court if possible but sometimes there is no other way to get the compensation you deserve. Medical bills are paid are paid from the settlement in addition to the costs and legal fees, leaving the remainder for the client to keep. In a settlement, there is normally a lump sum paid by the insurance company. Out of this lump sum comes the lawyer’s fee and reimbursement for medical bills, pain, suffering and lost wages. Additional money, beyond fees and costs, is kept by the client. When You Are The At-Fault Driver, Can You Make an Injury Claim? No, the other driver must be more than 50% at fault before you can get a settlement. If you shared a small portion of the fault for causing an accident, we could probably help you. Mr. Montag won’t let the insurance company use your accident report to tip the scales in their favor due to a poorly written accident report. Police officers make occasional mistakes. If an accident report is seriously flawed, Mr. Montag has been known to call the police officer and convince them to amend the report to make it clear that you were not at fault. 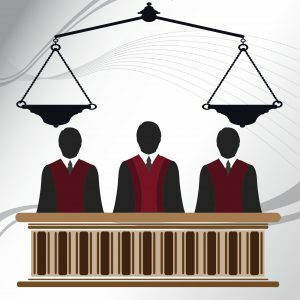 Is It Possible To Take Your Case to Court Without Legal Representation? Yes, but it is a bad idea. Court procedures and rules of evidence would rarely be understood well enough by a layman to make presenting a winning case possible. The insurance company’s lawyers will take advantage of an individual with no legal training. Representation by an auto accident lawyer is advisable whenever a significant injury is involved, especially if the claim needs to be litigated.